*Calypso Cay Vacation Villas VI* is a Caribbean-themed resort playground for the entire family, with numerous swimming pools and water features, a lighted miniature golf course, and acres of fun. This resort is just a short drive from the many attractions central Florida has to offer, including Walt Disney World, Universal Orlando, and SeaWorld, and is only about an hour's drive from Busch Gardens, Kennedy Space Center, and world-famous beaches! Perfect resort for family vacations! Near Disney (10min)! Buyer may receive a title fee credit, inquire for details! RCI! Price negotiable! Ideal resort for your Orlando area vacations! Close to many exciting attractions! Buyer may receive a title fee credit, inquire for details! Villa is located in Phase VI which is the newest addition to this luxurious resort! Buyer will have immediate usage in 2018! Inquire for details! Just Reduced! Motivated seller! 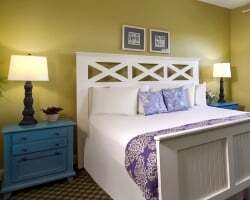 Enjoy week 18 vacations at this terrific Orlando resort! Buyer may receive a title fee credit, inquire for details! Annual floating week in Orlando! Just a short distance from the theme parks, beaches, shopping, dining and much more! Inquire or make an offer today! Ideal resort for your Orlando area vacations! Close to theme parks, golfing and more! Week 15! Inquire for details! Tropical resort with all major theme parks just a drive away! Week 21 during even years! Buyer may receive a title fee credit, inquire for details! Bring Best Offers!Experience pure relaxation at this stunning Caribbean themed resort! Buyer may receive a title fee credit, inquire for details!! Annual week 2! With RCI membership, week exchanges for 73,000 RCI points! Buyer may receive a title fee credit, inquire for details! Christmas week 51 at this fun Orlando resort! Make an offer today! Exciting resort for a family vacation! Buyer May Receive A Title Fee Credit, Inquire For Details! Fun resort & amenities near the Orlando attractions! Even years usage in January week 3! Make an offer today! Magnificent resort near the Orlando fun! Yearly in March week 10! Owner has prepaid closing credit; please inquire for details! Spend week 16 each odd year in Florida! Feel as if your in the Caribbean! Buyer May Receive A Title Fee Credit, Inquire For Details! Ideal location near popular theme parks! Buyer May Receive A Title Fee Credit, Inquire For Details! Centrally located near theme parks! Great option for all ages! Buyer May Receive A Title Fee Credit, Inquire For Details! Annual floating week! Ideal suite to bring family and friends along! Buyer May Receive A Title Fee Credit, Inquire For Details! Vacation in the middle of all the entertainment in Florida! Buyer May Receive A Title Fee Credit, Inquire For Details! Spacious accommodations at this family-friendly resort just minutes from the theme parks & more! Buyer may receive a title fee credit, inquire today! Annual floating week! 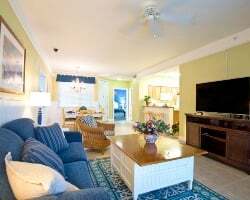 Resort located just minutes from all major theme parks! Buyer may receive a title fee credit, inquire for details! Beautiful resort near the Orlando fun! Even year floating week usage! Buyer may receive a title fee credit, inquire for details! As a Bonus you can receive a 1 week/one time stay thru Vidanta! With membership, week exchanges for 82,000 RCI points for global exchange! Negotiable! Fun resort with many amenities near all the Orlando attractions! Odd year floating week! Buyer may receive a title fee credit, inquire for details! 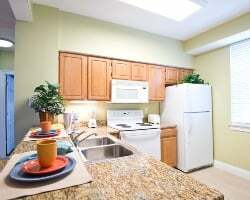 Ideally located close to Orlando's best attractions! Choose your even year floating week! Make an offer today and start planning your family vacation! Great Disney vacation opportunity! Odd year, week 26! Buyer may receive a title fee credit, inquire for details!